Charlotte Brontë (, commonly ; 21 April 1816 – 31 March 1855) was an English novelist and poet, the eldest of the three Brontë sisters who survived into adulthood and whose novels became classics of English literature. She enlisted in school at Roe Head in January 1831, aged 14 years. She left the year after to teach her sisters, Emily and Anne, at home, returning in 1835 as a governess. In 1839 she undertook the role as governess for the Sidgwick family, but left after a few months to return to Haworth where the sisters opened a school, but failed to attract pupils. Instead they turned to writing and they each first published in 1846 under the pseudonyms of Currer, Ellis and Acton Bell. 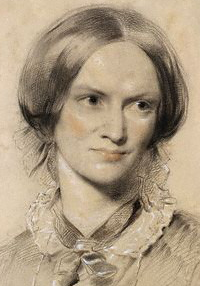 Her first novel ''The Professor'' was rejected by publishers, her second novel ''Jane Eyre'' was published in 1847. The sisters admitted to their Bell pseudonyms in 1848, and by the following year were celebrated in London literary circles. Brontë experienced the early deaths of all her siblings. She became pregnant shortly after her marriage in June 1854 but died on 31 March 1855, almost certainly from hyperemesis gravidarum, a complication of early pregnancy which causes excessive nausea and vomiting.